Spinal stenosis from spinal curvature can be a direct cause or partial contributor to both central canal narrowing and foraminal narrowing. There are many different types of abnormal spinal curvatures and all of them can negatively impact the spinal anatomy when the curvatures are severe. The scope of this article is to detail a variety of atypical curvatures of the spine and describe how each may be part of a spinal stenosis condition in any given diagnosed patient. We will concentrate on scoliosis and lordosis as these are the two most common forms of atypical curvature which may play roles in the creation of stenosis symptoms. 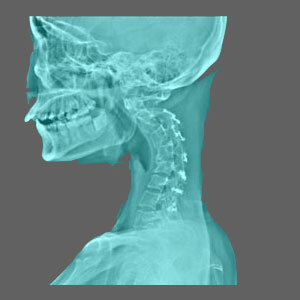 Scoliosis is the most common type of irregular spinal curve diagnosed in the orthopedic sector. Scoliosis describes a condition involving a side-to-side curvature of the spine in one of more locations. A normal spine will curve front to back in multiple locations, but will be perfectly straight side-to-side. A scoliotic spine can take on a C shaped curve or an S shaped curve, depending if the spine curves once or more than once. However, neither of these curve formats is inherently more problematic when compared to the other. Spinal stenosis from scoliosis usually only occurs when the side-to-side curvature is advanced or extreme. Most mild and conservatively moderate curves are not symptomatic to any large degree and although these may limit the space in the central canal or partially block foraminal openings, spinal stenosis symptoms are not likely to occur. When curvature is severe, the central canal may not line up bone-to-bone and the foraminal spaces facing into the interior of the curve are likely to be decreased significantly, possible enacting painful neurological consequences. A lordotic curvature is normal to demonstrate in the lumbar and cervical spines. However, an exaggerated curve or a loss of this curve can both be potentially problematic and might contribute to a misaligned canal space. Loss of lordosis in these regions is usually related to muscular spasm or spinal degeneration. Either way, the chances for hypolordosis causing any type of stenosis is almost zero. The opposite condition, called hyperlordosis, can certainly enact spinal stenosis if the exaggerated front-to-back curvature is severe. In both of these cases, the foraminal openings and/or the central canal can be narrowed, potentially eliciting spinal stenosis expressions from the curvature downwards. The thoracic spine and the sacral spine both feature natural kyphotic curves. The sacral spine is a fused mass which rarely shows evidence of kyphotic changes, but the thoracic spine is a different story altogether. The thoracic region can suffer from reduced kyphosis, named hypokyphosis, although this is rarely responsible for causing spinal stenosis. The opposite condition, called hyperkyphosis, can definitely narrow the central canal and the foraminal spaces, enacting spinal or neuroforaminal stenosis in some serious instances of abnormal curvature. To learn more about any variety of spinal curvature and how these structural abnormalities might play roles in the creation of stenosis, talk to your orthopedist or neurologist.